Israel's long known open secret is its formidable nuclear arsenal. Less is known about its chemical and biological weapons (CBW) capability. More on that below. "I thoroughly researched the available many documents, pictures, slideshows and videos on Operation Cast Lead. It was a very time consuming endeavour to say the least. One thing glaringly stood out like a sore thumb. The truth about Operation Cast Lead was missing from the information presented by the Israelis and their supporters including the United States Administration and especially most members of the House of Representatives and Senate of the United States of America who are lackeys of Israel and AIPAC. 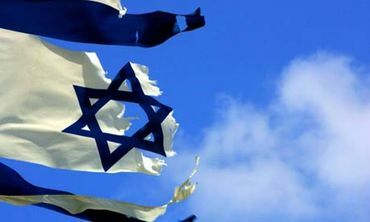 "Operation Cast Lead .... unprovoked and totally unnecessary barbarous Israeli attack. 0r more aptly put, the Israeli massacre of the Palestinian people, by the Israeli armed forces from December 27, 2008 to January 18, 2009. A MASSACRE BY ANY STANDARD! Israel used phosphorous. I know I don't have to tell you, David. The mainstream media didn't cover the assault on Gaza - it regurgitated the spin it was paid to sell. The truth is out (as it was then) and still 'fogged' over and ignored - just like what has been happening in Gaza, since!!! Watch the images and learn the facts of this infamous massacre of Palestinian civilians and children. As for the 'silence' - see this short video, and it will become apparent, why!! Wake up Americans! Those are your hard earned tax dollars!